As a promising candidate for millimeter wave (mmWave) multiple-input and multiple-output (MIMO) communications, hybrid precoding techniques can reap the benefit of large antenna arrays, yet with only limited number of radio frequency (RF) chains. In this paper, we investigate the problem of achieving the same performance of the fully digital system with hybrid precoding. Specifically, for the single user MIMO system, we propose a closed form hybrid precoding design that can achieve the optimal fully digital performance for both frequency-flat and frequency-selective channels, and only requires the number of RF chains to equal the number of paths of the channel. The design for the case with even less RF chains is also given. Furthermore, for the multiuser (MU) system with single antenna at each mobile terminal (MT), two MU beamforming schemes are considered, which are the directional beamforming and zero-forcing. We show that for both schemes, the fully digital performance can be achieved with our proposed hybrid precoding designs with the number of RF chains no less than the sum number of channel paths from the base station to all the selected MTs. Numerical results are provided to validate our analytical results and show the performance gain of the proposed hybrid precoding designs compared to other benchmark schemes. The associate editor coordinating the review of this paper and approving it for publication was L. Bai. Lu Yang [corresponding author] received his B.S. degree in information science and engineering from Southeast University, Nanjing, China, in 2007. He received his M.S. degree and Ph.D. degree in 2010 and 2015, respectively, both from the School of Electrical Engineering and Telecommunications, the University of New South Wales, Sydney, Australia. He was a research fellow at the Department Electrical and Computer Engineering, National University of Singapore, in 2015–2017. He is currently with the University of New South Wales as a research associate. He was a visiting student at the University of California, Irvine and the Chinese University of Hong Kong in 2012 and 2013, respectively. He received 2015 IEEE Wireless Communications Letters Exemplary Reviewer Award, and the Best Paper Award for the 3rd IEEE International Conference on Wireless Communications and Signal Processing. His research interests include interference alignment, wireless power transfer, millimeter wave communications, and drone communications. Wei Zhang [F15] is a professor at the University of New South Wales, Sydney, Australia. His current research interests include UAV communications, millimeter-wave communications, space information networks, and massive MIMO. 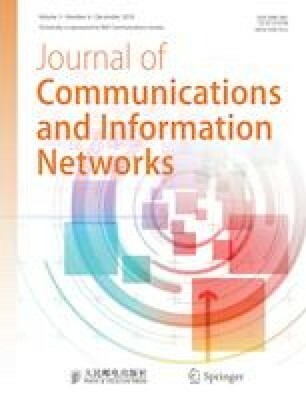 He is the editor-in-chief of IEEE Wireless Communications Letters and associate editor-in-chief of Journal of Communications and Information Networks (JCIN). He is a TPC co-chair of IEEE/CIC ICCC 2019, Changchun, China. He also serves as vice chair for IEEE Wireless Communications Technical Committee and vice director of IEEE Communications Society Asia Pacific Board. He is a member of board of governors of IEEE Communications Society. He is an IEEE fellow.